The Sultan of Brunei has gone overboard by decreeing a maximum five-year prison sentence for Muslims who partake in Christmas celebrations or non-Muslims who celebrate it too openly, Parti Amanah Negara said. The party’s information chief, Shah Alam MP Khalid Samad told English language daily, that it was more important to remind Muslims that while it was permissible to wish Christians happy Christmas, the occasion was not part of Muslim celebrations. “It’s a question of giving them proper understanding, which should suffice as protection from them being overzealous or over-involved in such celebrations. “Unfortunately, the Sultan’s actions may give the wrong impression as to what Islam is about,” the paper quoted him as saying. According to The Malaysia Insider, religious leaders in the oil-rich Brunei sultanate said this month that a ban on Christmas would be strictly enforced, for fear that Muslims could be led astray. Under the ban, Muslims are forbidden from using religious symbols like crosses, lighting candles, putting up Christmas trees, singing religious songs and sending Christmas greetings, deemed to be against Islamic faith. The decree by Sultan Hassanal Bolkiah imposes a five year jail sentence for Muslims violating the ban and although Christians could celebrate, they have been directed not to do so “excessively and openly”. Khalid, a former PAS central committee member said extreme interpretations of Islam were cropping up and the issue of whether Muslims could utter “Merry Christmas” to wish Christians also surfaced annually. He said Prophet Muhammad however, practised tolerance and mutual respect towards other religions. 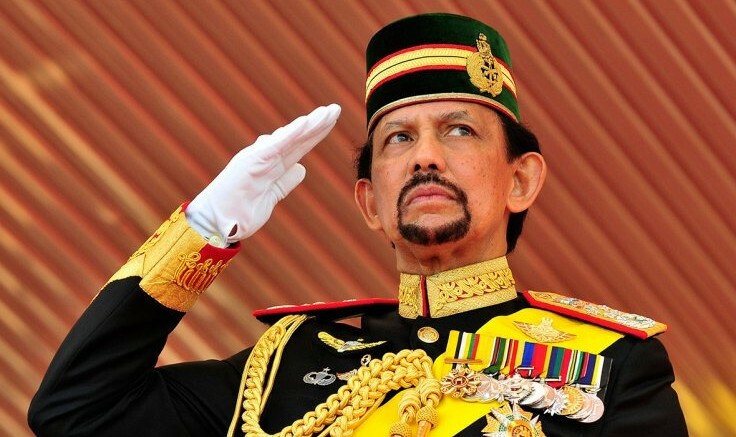 Be the first to comment on "Sultan of Brunei Bans Open Christmas Celebration"